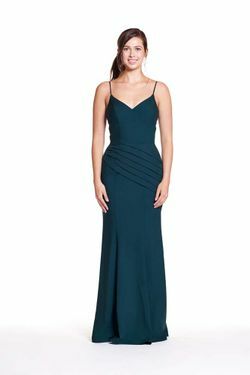 Bary Jay bridesmaid dress style 1876 - High neckline with chiffon collar that ties into a bow at the back neck. Open back bodice, A-line skirt and center back zipper. Available in Matte sequins and short length.